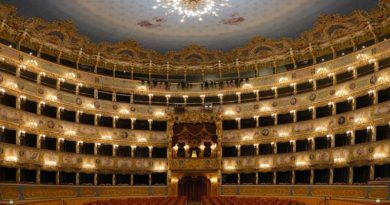 La Fenice Opera House presents the 2016-2017 Opera and Ballet season, which will offer thirteen new productions including one experimental opera composition, two opera plays for children, a classical ballet and one contemporary dance recital, eight previous productions to be repeated, for a total twenty-four titles and over one hundred and thirty performances. The inauguration will be on November 4th, 2016 with “Aquagranda”, by Philip Perocco a world premiere produced by La Fenice on the occasion of the 50th anniversary of the flood of Venice. Moreover, the playbill includes a special project dedicated to Monteverdi. Two representations will be directed by Calixto Bieito: a new production of Wagner’s “Tannhäuser” and “Carmen” by Bizet conducted by Chung. A new staging of “Lucia di Lammermoor” with Nadine Sierra in the leading role; “Gina” by Cilea will be rediscovered on the occasion of the 150th since its composer’ birth; two representations will be dedicated to the memory of Alfredo Casella seventy years after his death, namely “Cephalus and Procris” by Ernst Krenek and “The tale of Orpheus” of Casella himself; a new production of Attila; two plays are conceived for a young audience: “Romeo and Juliet” by Nicola Antonio Zingarelli and “The pay rise” by Luciano Chailly. The season has been presented in Venice by the superintendent of “La Fenice Foundation” Cristiano Chiarot and the artistic director Fortunato Ortombina. 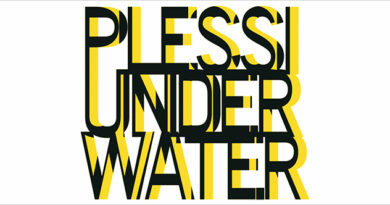 The inauguration premiere of “Aquagranda” by Philip Perocco, has a libretto by Luigi Cerantola based on the novel by Roberto Bianchin – will be entrusted to the baton of Marco Angius, while Damiano Michieletto will be charged with the direction of the staging, implemented with the support of the “Freundeskreis des Teatro La Fenice”. The premiere is scheduled on November 4th, the same date as fifty years ago, 1966, when the highest high-water ever occurred was FONDAZIONE TEATRO LA FENICE recorded at 194 cm, causing a flood with disastrous consequences and heavy damages. The following opera “Attila” by Giuseppe Verdi, was the second work the composer wrote for the La Fenice Opera House, where it was staged for the first time on March 17, 1846. 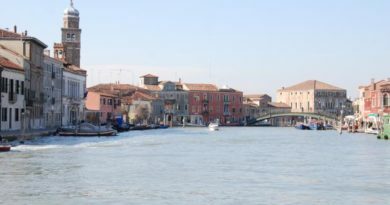 This opera is Verdi’s most ‘Venetian’ work, also because it tells about the fleeing people from Aquileia arriving on the island of “Rivo Alto” the modern Rialto, thus enacting the foundation of Venice. The representation is a co-production with the “Teatro Comunale in Bologna” and “Teatro Massimo of Palermo”, it will be conducted by Riccardo Frizza, directed by Daniele Abbado, for the set design and the lights of Gianni Carluccio, who’s also costume designer with Daniela Cernigliaro. As for the cast, Victoria Yeo will debut in the role of Odabella and the young Pavlo Balakin will play Attila. After twenty years “Tannhäuser” by Richard Wagner will be staged again at La Fenice, in a new production directed by Calixto Bieito and conducted by Omer Meir Wellber, in a co-production with the Opera of Antwerp, the “Vlaamse Opera” in Gent and the “Teatro Carlo Felice” in Genoa. The Groβe Romantische Oper of the German composer will be presented in a mixed version that combines the musical score of the 1845 “Dresden premiere” with the “Pariser Bearbeitung” of 1861. The cast includes exceptional performers: Stefan Vinke in the leading role and Liene Kinča as Elisabeth; Ausrine Stundyte will be Venus, while Christoph Pohl will sing as Wolfram von Eschenbach. La Fenice rediscovers Francesco Cilea – in the 150th from birth – proposing a small jewel of the early period: “Gina”, the debut work by which the Calabrian composer completed his course of studies at the Conservatory of San Pietro a Majella in Naples. The opera seldom executed, will be conducted by Francesco Lanzillotta in a production directed by Bepi Morassi, organized in collaboration with the School of scenography of the Academy of Fine Arts in Venice as part of the project “Atelier of La Fenice at the Malibran”. Romantic opera par excellence, “Lucia di Lammermoor” by Gaetano FONDAZIONE TEATRO LA FENICE Donizetti, with a libretto by Salvadore Cammarano will be staged in a new production directed by Francesco Micheli and the musical conducting of Riccardo Frizza, will involve Nadine Sierra in the title role and Francesco Demuro as Edgardo of Ravenswood. Claudio Monteverdi, “great musician” and innovator of musical language, was from Cremona by birth but Venetian by adoption. The composer chose Venice as his ideal city, where he lived for thirty years, working as a choirmaster of St. Mark’s Basilica from 1613 until his death, receiving the final honour of a burial in the Basilica of the Frari. 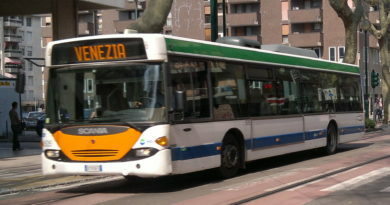 “The Orpheus”, “The Return of Ulysses to Ithaca” and “The Coronation of Poppea” are the only titles of his opera production that endured in their almost original version and will be performed for the first time in Venice in the span of a week in June 2017, to celebrate the four hundred and fifty years since the composer’s birth. The musical direction of the project is committed to Sir John Eliot Gardiner, one of the greatest contemporary interpreters of Monteverdi’s music, who will lead the Monteverdi Choir and Orchestra as well as a cast of young performers selected by the English master in three different countries: England, France and Italy. 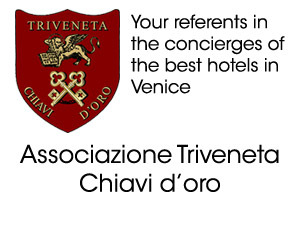 The trilogy, presented in Venice as absolute preview, will be later staged in several other European and American venues. Furthermore La Fenice will present the first performance ever of “The fire art in music”, experimental work by Fabrizio Plessi, one of the leading international exponents of video-art, Plessi – who was born in Reggio Emilia but lived in Venice, where he graduated later becoming professor of painting at the Academy of Fine Arts – is known and appreciated worldwide for its use of video and electronics as creating materials in the same way as wood, iron or marble, and his peculiar fascination with water and fire. Water, fire and other primeval elements will indeed be at the center of the project for La Fenice, developing a sort of exhibition path in the halls of the Theatre made of lights, sounds and audio-video installations. In 2017 recurs the 70th anniversary of the death of Alfredo Casella, FONDAZIONE TEATRO LA FENICE who was an excellent pianist and composer as well as a tireless proponent and advocate of contemporary music. 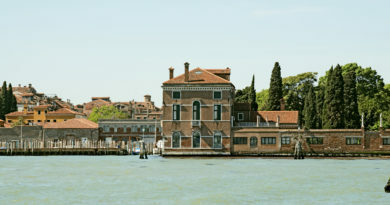 To remember his various features, La Fenice will put forward two titles for a single evening, both presented at the Venice Biennale in the Thirties, when Casella was engaged in its organization. The first one, “Cephalus and Procris” by the Austrian composer Ernst Krenek – a “pseudo classic morality” in a prologue and three acts based on the Italian libretto by Rinaldo Küfferle – debuted in 1934, indeed thanks to the invitation of the composer from Turin. The second, “The tale of Orpheus”, debuted two years before in 1932 and is a chamber opera in one act by Casella himself, with a libretto by Corrado Pavolini based on Angelo Poliziano. The diptych – a new production of La Fenice in collaboration with the Biennale Arte 2017 – will be conducted by Tito Ceccherini and will be directed by Valentino Villa. As for the ballet, the season will offer a great classic: “The Sleeping Beauty” for the music by Pyotr Ilyich Tchaikovsky, in the choreographic version by Jean-Guillaume Bart from Marius Petipa, that will be interpreted by the Corps de Ballet of the Rome Opera House, with David Coleman leading the Orchestra of La Fenice Opera House. Contemporary dance will instead be the protagonist during three performances of “Parsons Dance”: the American ballet company, created by the genius of eclectic choreographer David Parsons and the light designer Howell Binkley, presents in Venice some cult pieces from his repertoire – such as the famous solo “Caught” for the music by Robert Fripp – along with two other original music pieces for the European premiere. Noteworthy are the two productions aimed at young audiences: “The pay rise”, a single-act play by Luciano Chailly of 1996, based on the play by Dino Buzzati, will be staged by director David Garattini, while “Romeo and Juliet”, a musical drama of 1791 by the Neapolitan composer Nicola Antonio Zingarelli, will be staged in a new production directed by Francesco Bellotto. 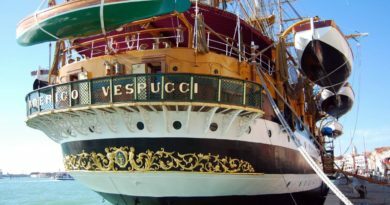 Both of these new La Fenice productions for young people – made in collaboration with the Conservatory of Music FONDAZIONE TEATRO LA FENICE Benedetto Marcello – will be conducted by Maurizio Dini Ciacci. 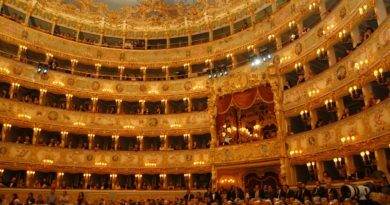 Eight earlier productions by La Fenice will be repeated in the 2016-2017 season. Bizet’s Carmen will be staged in the successful arrangement by Calixto Bieito, who won the “Abbiati Prize” for the best Italian direction in 2011: this year it will be conducted by the prestigious baton of Myung-Whun Chung and will have Veronica Simeoni and Roberto Aronica engaged in the key roles of Carmen and Don José. “The Sleepwalker” by Bellini will be proposed anew, according to the tested interpretation of Bepi Morassi directed by Fabrizio Maria Carminati, with Shalvia Mukeria in the role of Count Rodolfo and Irina Dubrovskaya in that of Amina. Alongside two Rossini operas, “Opportunity makes the thief” and “The Barber of Seville”, Verdi’s “La Traviata” and Puccini’s “Madame Butterfly” in the setting by Àlex Rigola and Mariko Mori, La Fenice will also propose “La Bohème” by Puccini, directed by Francesco Micheli, as well as Mozart’s “Don Giovanni”, winner in 2011 of an “Abbiati Prize” (Paolo Fantin and Carla Teti for the set design and costumes) and five “Opera Award” (including awards to Damiano Michieletto for direction, Paolo Fantin for scenes, Carla Teti for the costumes and the whole set-up as the best show of the 2010 season). 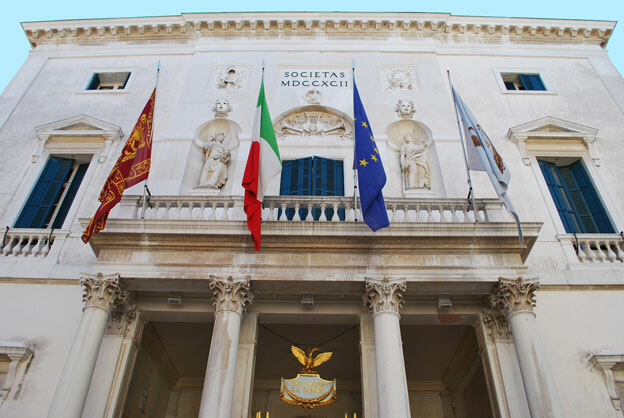 Of the twenty-four titles of this season, seventeen will be staged at La Fenice Opera House. 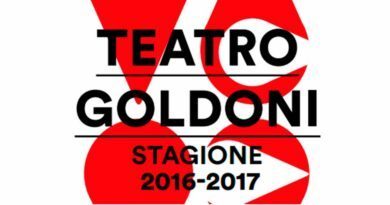 As for “Gina” by Francesco Cilea, the show of “Parsons Dance Company”, the diptych composed of “Cephalus and Procris” by Ernst Krenek and “The tale of Orpheus” of Alfredo Casella, as well as the two events for young people “The pay rise” of Luciano Chailly and “Romeo and Juliet” by Nicola Antonio Zingarelli, will be staged at the Malibran Theatre.